Preventive Pest Services provides pest control in Sandy and the surrounding areas. We take pride in providing exceptional customer service, and take to heart the feedback we hear from each and every one of our customers. Below you’ll find our reviews, testimonials, and feedback from the home owners and businesses in Sandy we’ve serviced. If you need a Sandy exterminator, contact us today! I have been using Preventive for around 2 years and have been pleased and they have met my expectations. Recently I had a new bug show up that I thought was termites. Of course I freaked and jumped on the phone with them. They sent someone to my home FOR FREE to evaluate at which point he told me I did not have termites and he would look into what the actual bug was with no additional charge. They came back out and sprayed my property again at no additional cost to try and treat the problem while they worked to figure it out. After a few more days and a few pictures of the pests I received a very informative e-mail letting me know what the insect was and what I could also do to prevent them from spreading. A harmless little thing called a springtail that is attracted to moisture. Back to how great they are. The ladies on the phone were very prompt on getting someone to my house to evaluate, the inpectors that have come out have been so pleasant, and the e-mails extremely professional. I am sure they were tired of hearing form me however they never stopped listening to my concerns and addressing them with me. I believe so much in this company, their product, and employees to handle my property with sincere care. Update***"Still pleased. Today a young man named Jordan stopped by and was very thorough and knowledgeable. What a great company. Service is commendable and technicians are great. Have only raise for your service. Your follow up schedule helps me to feel confident that my home is pest free. My lawn was dying. We weren't sure why. We called other companies to help. No one did until we had preventive pest help. Now our lawn is greener and prettier than it's ever been! They are the best! We had our apartment sprayed on the last day of September. It was great working with your company. Good job! Hands down the most professional pest removal service out there. We've used Preventive Pest Control for several years and are completely satisfied!!! They are wonderful and extremely professional. I own a property management company and they are so good that I use them on several of the rental properties. They are quick to respond and always let us know when to expect them. They come back if ever necessary. THEY ARE AWESOME!!!!! Fast response and excellent service. Explained everything in detail. 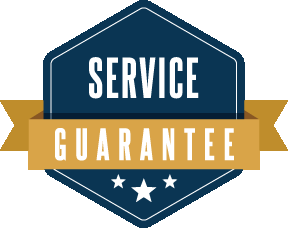 Very affordable pricing for quarterly service! Would recommend over any of the big names.